Sunday lolling in the conservatory with the cat and a good book. ‘Astro Poetica’ in hardback. It’s so nice to hold it’s putting a big smile on my face. The cover is shiny black and silver. It has a couple of extra poems and illustrations and if you’re quick you’ll get a piece of free art (by me) when you buy it. You may have noticed that Leo modelled for one of the illustrations. This lovely thing landed on my doorstep last week. 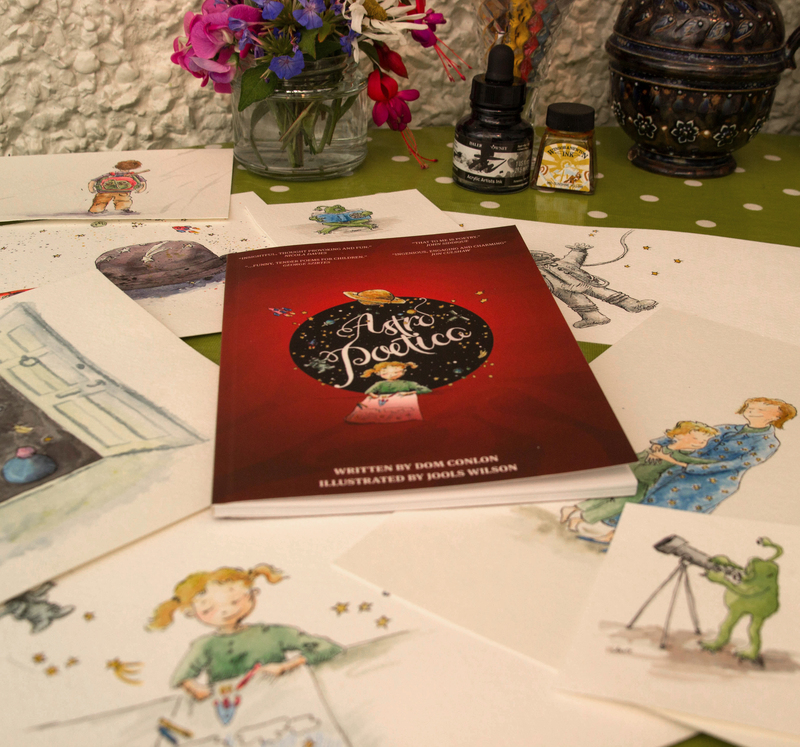 🙂 ‘Astro Poetica’, a volume of charming poems about space written by Dom Conlon, with some pictures by me. It’s full of love and fun and aliens and planets and solar systems..and I managed to sneak my cat in there somewhere too. As well as being a rather beautiful, nice to hold thing ‘Astro’ is the first time I’ve seen myself in print. And, by gum, I think I look rather good. (My work, obviously. Not actual me.) I’m immodestly pleased with myself. And with Dom. I think we did good. And to think, when Dom asked me to illustrate it I said “Don’t you think you should ask someone who knows what they’re doing?” I’m pleased he ignored me. I think children will love this book. I hope they read the ‘Things to Think’ and ‘Things to Do’ sections and write some poetry of their own. I have a child on loan at the moment, so I’ll be testing it out later. I know adults will like it, because I do and I am one. ‘Astro Poetica’ is published by Inkology. 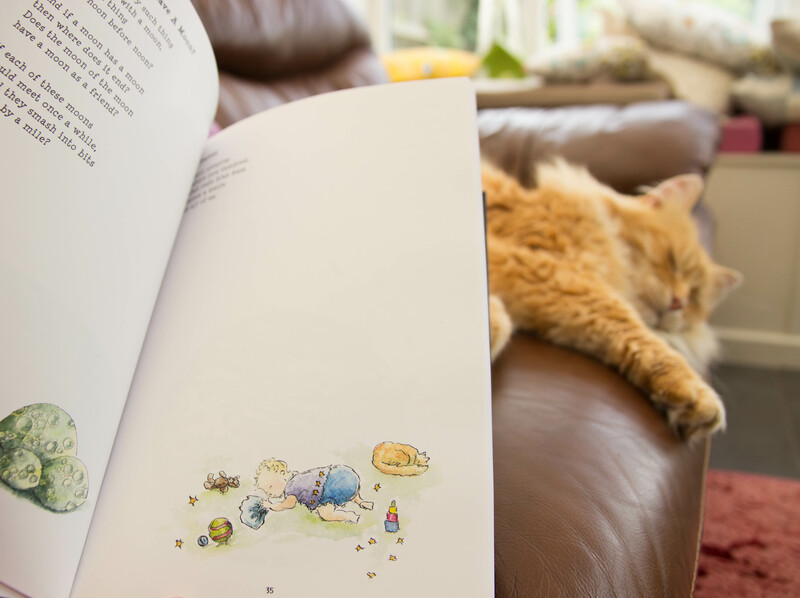 If you look here Inkology.co.uk you’ll find lots of free and lovely stories and poems for children. You can follow @InkologyStories on Twitter as well. You can get a copy of ‘Astro Poetica’ from Amazon. It is also available on Kindle from Amazon or for your ipad from itunes and there is a rather lovely limited edition hardback version, which has extra content (also on Amazon).